Darkspore is an online Action-RPG where you can play up to four players in co-op and PvP. Instead of playing a single hero character, you collect and control many heroes, each with their own unique set of special abilities. Battle across alien worlds to collect loot that you can use for upgrades. Deeply customize your heroes in an Editor based on the award-winning Creature Editor technology from Spore. Set in a sci-fi universe, E-DNA has escaped the lab and allowed the Darkspore to overrun all planetary life. 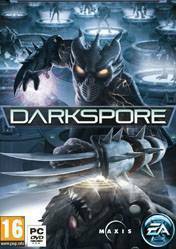 After eons of hiding in hypersleep, you have been awakened with a mission: Reconstruct an arsenal of Genetic Heroes and destroy the Darkspore! There are no comments yet about Darkspore . You can be the first one!